Here we will look at currency trading lessons generally and also the 6 most important lessons that I have learned in terms of trading lessons, some of them harsh which have helped me become a successful currency trader. If you look around online, you will find plenty of free material which can help you devise a currency trading strategy which can make profits and you will find several hundred pages of free info on this site. 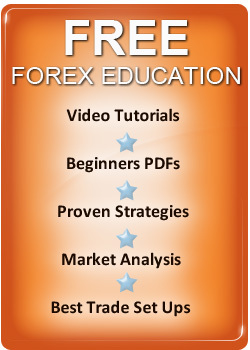 All the currency trading information you need, to achieve success can be found for free online. You simply have to blend the information into a strategy which has an edge. You then simply need to trade it, in the market with a disciplined and systematic approach. You will also find courses which will help you cut down your study time which can help you learn proven currency trading tools, that you can adapt quickly to suit your trading aims, personality and target growth. So you can teach yourself to trade or get some help. Whether you choose an FX course or use free material online, I still think its a good idea to buy some classic books on traders who have made money. These books only will they motivate you, you will also get some great insight in the mindset which is needed to trade successfully. You will find the ones we consider the top ten on this site. You will then be ready to trade currencies for profit but you have to take your knowledge and apply it in the real world. Trading with hard cash is an emotional experience and trading discipline is needed to survive. In my view, learning to trade currencies is easy but applying the knowledge under pressure is the hard part of trading. This is why so many people lose, they can read huge amounts of info, learn lots of strategies, attend webinars, read books or watch DVDs but this knowledge, has to be applied in practice with confidence and discipline. To illustrate this point, I am going to cover, the top 6 currency trading lessons I have learned which helped me become a successful currency trader. When you read them, you will see why trading currency markets can be easy to learn but you must maintains self control in the face of the emotions of greed, fear and hope which are inside everyone. When you look around for currency trading information, you will find a huge amount of different info and much of it is complex or based on complicated mathematics and my first lesson was to learn that all the so called short cuts, wacky trading indicators and complicated trading strategies, do not increase your chances of success. They simply take up your time and will help you lose money. Don't look to learn to much and overload your education because it won't help you make profits. Just focus on the basics of technical analysis and read as much as you can on trading sentiment, emotions and acquiring trading discipline. I have read several hundred FOREX books but the ones which helped me, number less than 20 so that's a lot of time wasted so don't make the same mistake. I once worked a FOREX salesman raising new accounts and used to spend a lot of time with the dealers and most people new to currency trading actually think they make money for clients but I saw the true picture. Not one of the traders I worked with, ever made money for clients - why? They were arrogant, to close to the price action and obsessed, with making trading commissions. The focus on commission was due to the fact that - the more they made for the company, the bigger their bonuses! Most so called pro traders don't make money so don't think you can't compete with them - you can. This really goes with my point of avoiding information overload in trying, to unlock the code of the market or find some secret of success - there isn't one. Think you won't hold a loss even though you know you shouldn't? Most traders think this and I was one of them. I had a mental stop to lose just $10,000 on a trading signal and ended up taking $132,000" Once I started to run the loss, I simply couldn't take it "my loss was to big I had better wait" but it got bigger and I learned a harsh lesson which was - to always place my stop loss, when entering a trade and never again, did I have the view the market could not go go to where it was - it was there and that was the reality, my view was just an opinion. When traders start to win, their confidence becomes bravado and they very often gear up their trading signals and trade more and think their invincible but they soon learn a lesson that, they should have been more selective with their trades, used less leverage and taken less risk but its to late - they have blown their trading account. In my view even when your doing well be patient and don't, take trading signals which don't offer the very best odds of success. Knowing when not to trade is a trait all great traders have - you can't force the currency markets to give you profits so don't try. One bit of currency trading advice I was given in my early days of trading was "there is more to life than trading" at the time, I was trading all the time and obsessed with it and furthermore, I never took a break. Always take a break from the market every couple of months and don't do to much work in terms of study or analysis - Once you have learned how to trade currencies, don't look for FOREX secrets or new methods RELAX and apply your method and spend less than an hour a day on your trading strategy. Also taking time off will keep you mentally sharp and fresh which will lead to more productive trading. This is because you will see the market with a sharper eye and trade more profitability. Can you become a successful FOREX trader? My answer is yes and if I can do it anyone can. I am not blessed with a high IQ, I have no real interest in mathematics or FOREX news but this has not stopped me, developing a currency trading strategy which can make profits long term and you can do the same and Learn How to Trade FOREX for Profit.